This is a perfect drink for when you get up in the morning or just before you go to bed at night. Why? Not only is it refreshing, but it works best on an empty stomach. 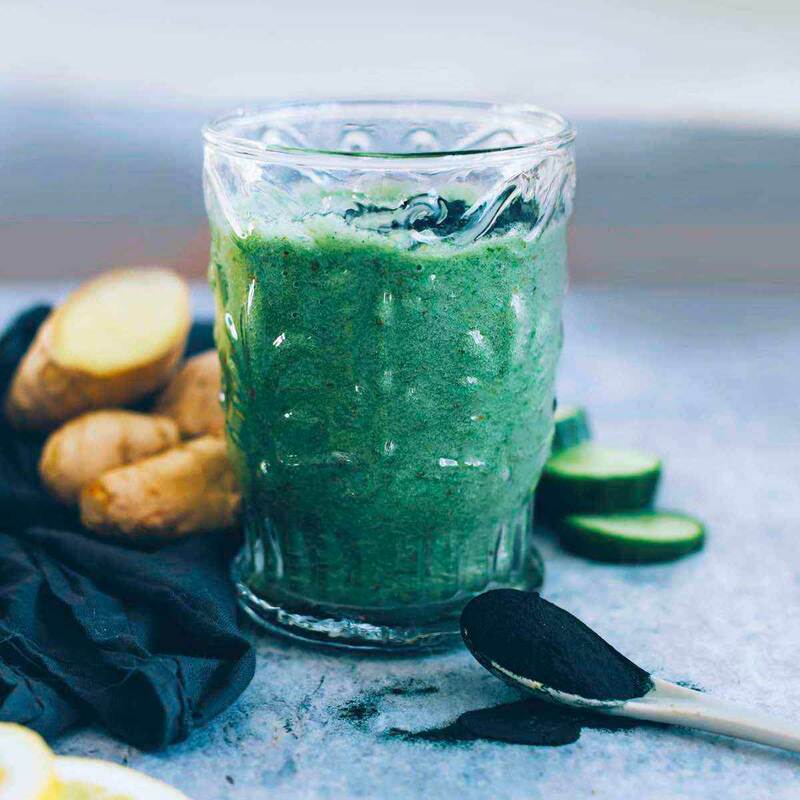 While this is a quick and easy beverage you can throw together and blend in the morning, if you’re worried about waking up the whole house, you can also prepare it the night before. Store it in the fridge and enjoy it when you wake up. For results you’ll both see and feel, drink this belly-fat blaster once a day for 10 days to two weeks. If you’re like most people, you probably notice that your belly bloats occasionally, even if you’re eating healthy foods. That’s because some foods that we eat – yes, even healthy ones – can contribute to bloating. 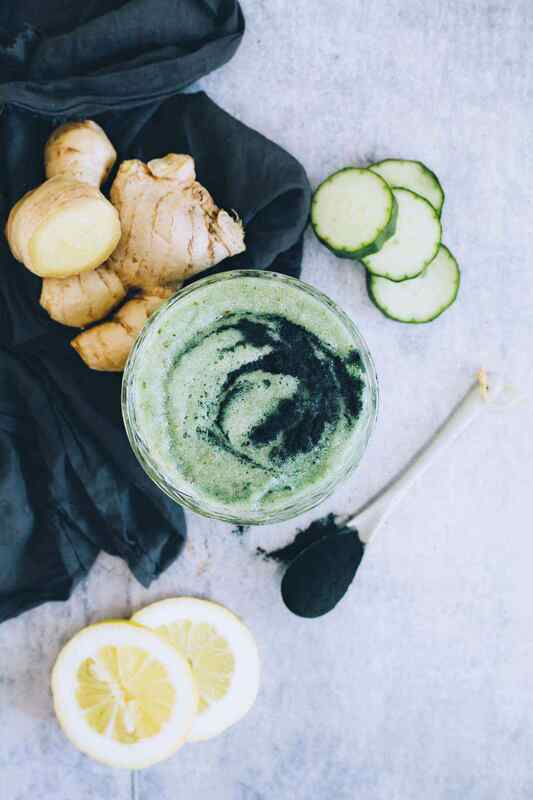 Cucumbers are an excellent anti-inflammatory and a good diuretic, helping to get rid of excess fluids (you can find more cucumber water recipes here). They are low in calories and high in antioxidants, making them effective for weight loss. In fact, they’re one of the best foods for your overall health, especially if you can find organic cucumbers. Ginger is another great anti-inflammatory food. This spice activates the function of your intestine and stomach, helps your digestion, prevents inflammation, and boosts your body’s natural fat-burning abilities (2). Ginger also slows down your body’s cortisol production. This is important because if your cortisol levels are too high, it can lead to excess belly fat and weight gain. 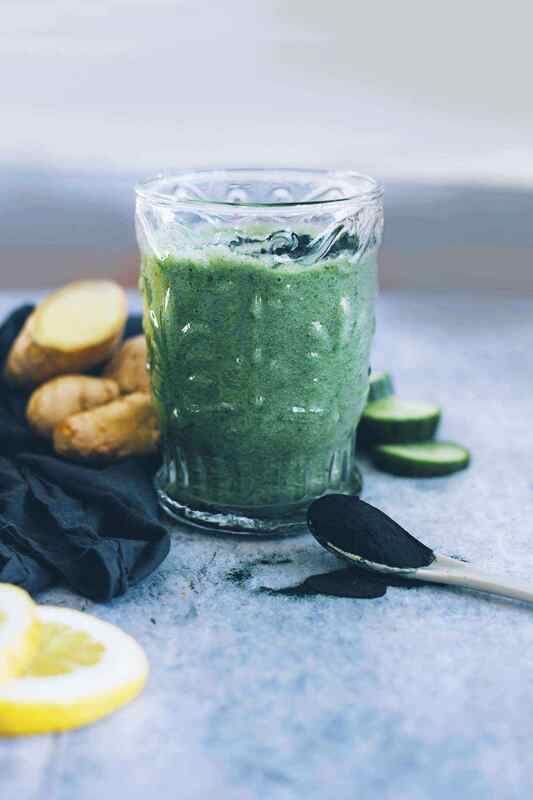 Spirulina is an essential flat-belly food as it is high in protein, has all the essential amino acids, and helps your body to burn more calories. It’s rich in nutrients, does a good job of curbing your appetite, and boosts your metabolism. Spirulina is widely used as a dietary supplement because of its numerous benefits. Its high protein content also helps you to maintain muscle tissue, so when you’re combining a weight loss diet with exercise, you’ll be getting the best results possible (3). Add all the ingredients into a blender and pulse to obtain a smooth liquid. Drink immediately, or store overnight in the refrigerator. I like to know if you can lose weight but permanently on any of these detox diets. Any possibility to lose 30 lbs or so on any of these?